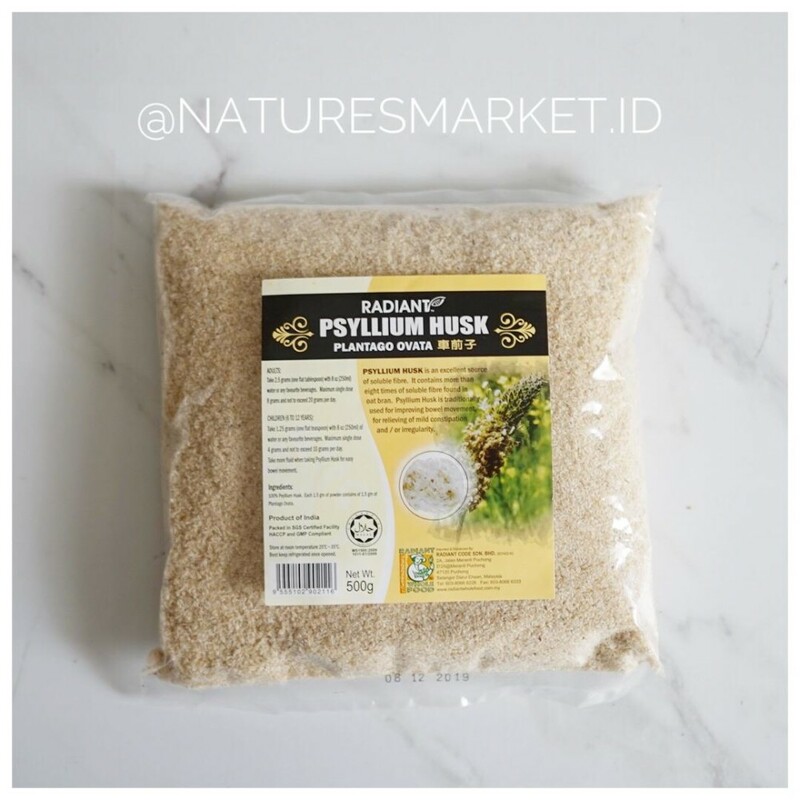 PYSLLIUM HUSK is an excellent source of soluble fibre. It contains more than eight times of soluble fibre found in oat bran. Pysllium Husk is traditionally used for improving bowel movement, for relieving of mild constipation and / or irregularity. Adult : take 2.5gr ( one flat tablespoon ) with 8 oz (250ml) water or any favorite beverages. Maximum single dose 8gr and not to exceed 20gr per days. Children ( 6-12years) : take 1.25gr (one flat teaspoon) with 8 oz (250ml) ofwater or any favorite beverages. maximum single dose 4gr and not to exceed 10gr perday. Take more fluid when taking Pysllium Husk for easy bowel movement.